Amazing Grace written by Franklin Levinson and Narrated by Sarah Jane Rose, Featuring vocals from Dru Stephenson. There are many places that we can now go to learn about being with and training horses in gentle ways. 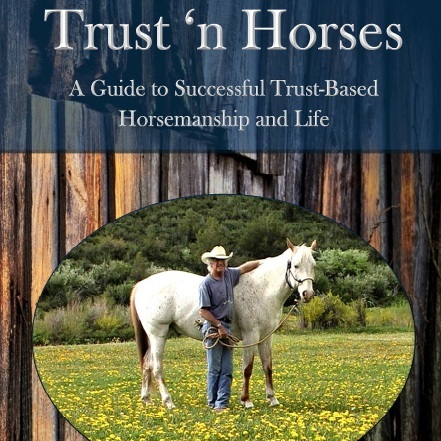 Using internet searches to find trust based trainers, thoughtful and even spiritual paths with horses, can provide many options for those seeking better relationships with horses. RACHAEL DRAAISMA - CALMING SIGNALS OF HORSES; PUBLISHED IN THE OCTOBER 2017 ISSUE OF HORSEMANSHIP JOURNAL. NARRATED BY SARAH JANE ROSE. If you recognise calming signals and act on them, you have a tool to prevent high tension in your horse. In this, observing your horse regularly is key. Besides calming signals, you can also pay attention to his facial and body features. Are you seeing a relaxed face, with long nostrils, almond-shaped eyes, a soft chin, and a loosely-carried tail? Or is there more tension in the face, featuring wrinkles over the eye, an extended upper lip, a differently shaped nose, and round eyes and nostrils? Early Learning with Ross Cooper; first published in Horsemanship Journal February 2018, narrated by Sarah Jane Rose. I have always enjoyed working with foals; it is so very rewarding to be part of their early stages of training. They are a complete canvas, with an innocence, yet mischievous quality that can never fail to make you smile. Though being as blank a canvas as a young foal is, it does put a level of responsibility on us a handlers or trainers to do them a justice, and to do the best for by them, for them. Here, I hope I help you to do just that! Reactive to RESPONSIVE with Ross Cooper; first published in Horsemanship Journal April 2018, narrated by Sarah Jane Rose. Many a time, if recognised early, certain behaviours can be re-worked with relative ease within a couple of sessions, followed by a consistent approach with a new found awareness. However, other behaviours, in particular those that have a painful or fearful association attached to them, can become deeply ingrained into the psyche of a horse, requiring longer, more intensive periods of sensitive training to re-train these.